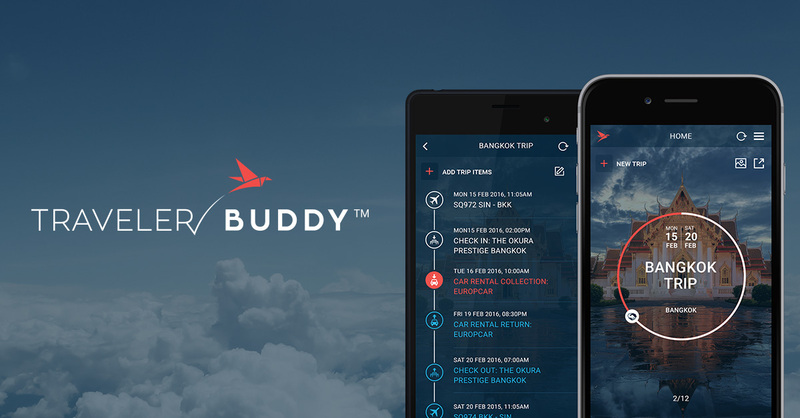 TravelerBuddy is a mobile app for Android and iOS that acts as your digital travel assistant. It is an intuitive app for travel planning that understands all your needs during all stages of your journey. With this app, you can say goodbye to invalid passports, inadequate flight alerts and notifications, and lack of offline access to travel details. Simply add your booking confirmation and TravelerBuddy will automatically generate your travel itinerary. This innovative travel solution simplifies travel planning by making immigration and expense reimbursements after travel a breeze. In addition, you can check travel requirements and passport validity for each country you plan to travel to. TravelerBuddy also sends flight delay info, departure gate change, check-in reminders, and start-of-trip details to your inbox and mobile device. You can check-in online on more than 400 airlines. On top of that, you get offline access to travel info stored in the app which means you don’t have to search through crowded email inboxes to retrieve the details you need. Read on below our TravelerBuddy reviews to know more about the software’s benefits, pricing and technical specs. To start, the app’s Expense Assistant tool helps you to report, store, and track your travel expenses. Its Immigrant Assistant feature provides the relevant info for card-filling and immigration. Besides, the app securely stores all your relevant personal details in a single location. In addition, it synchronizes selected travel items with your agenda and gives you the convenience of sharing printable itineraries. As travelers are in a hurry, they may miss out on essential info required for a hassle-free trip. This can lead to frustration especially on international trips. For such visits you need info on details such as passport validity, customs regulations, vaccinations, visas, and more. TravelerBuddy offers comprehensive support for all the above tasks. How does TravelerBuddy simplify travel? Here are the ways: It checks beforehand for travel needs, auto-generates itineraries from travel confirmation emails, supports online check-in for more than 400 airlines, sends real-time gate change notifications and flight alerts, and effortlessly manages travel expenses by automatically generating receipts, CSV data files, and expense reports. In addition, the app offers immigration card help to enable you to fill up arrival and departure cards. It securely stores personal info such as passport details in a password-protected file. Plus, it synchronizes travel items with your agenda. You can manually edit documents, pictures, and trip details, and add notes as required. TravelerBuddy gives you offline access to documents and travel info stored in the app. It offers map access to enable you to book taxis, get directions, and locate addresses. Plus, it shares itineraries with your contacts via WhatsApp and other messenger applications. You can easily download the TravelerBuddy app for Android and iOS online and also access them on the web. Individual users get a free plan and a choice of three membership packages that offer different features so you can select according to your travel profile.